Though details are sparse, the Federal Motor Carrier Safety Administration is seeking approval from the White House to publish a so-called “pre-rule” regarding hours of service regulations. The pre-rule, synonymous with an Advanced Notice of Proposed Rulemaking, won’t have any substantive proposals for changes to hours of service. 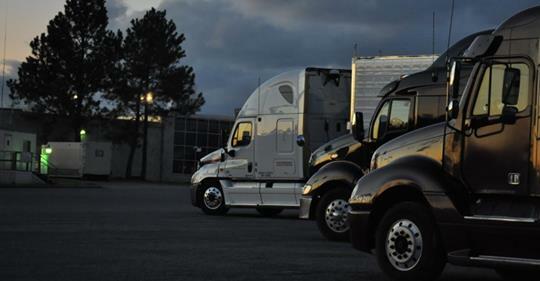 Rather, it would be a solicitation for feedback from industry stakeholders — such as carriers and drivers — about potential changes to hours of service regulations. ANPRMs are generally series of questions intended to gather input for a potential rulemaking. Ray Martinez, head of the Federal Motor Carrier Safety Administration, toldOverdrive this month that he hoped to kick off dialogue around hours of service reforms this fall, noting the oft-derided 30-minute break requirement and flexible split-sleeper berth options as potential areas to evaluate. FMCSA spokesperson Duane DeBruyne says the agency has received “petitions conveying widespread concerns on hours-of-service regulations and requesting rulemaking,” which prompted the agency’s move to file the pre-rule. To be published in the Federal Register, the White House must approve the proposal. The agency is also waiting on approval from the White House’s Office of Management and Budget for a research plan intended to study the safety aspects of allowing drivers to split their 10-hour off-duty time into segments, rather than taking it as a straight 10 or the limited 8-2 split.